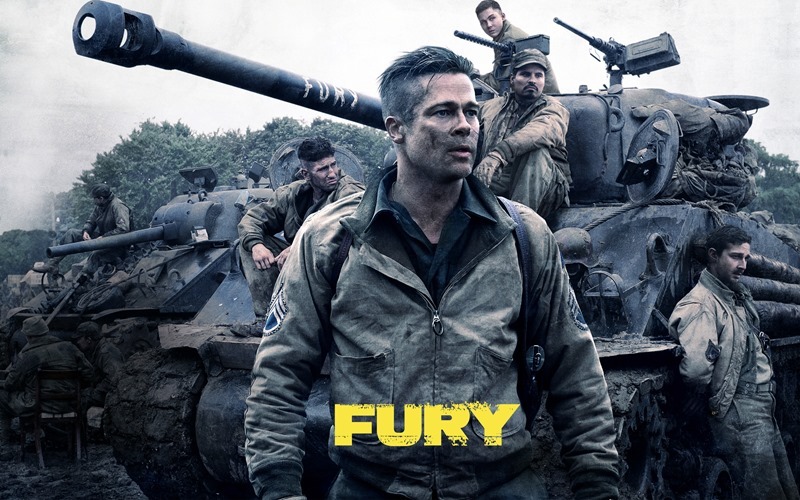 Win tickets to go watch FURY! We’ve just wrapped up a contest for folks to go and get their World War 2 action on in the upcoming Fury movie, which stars Brad Pitt and hopefully has him shouting BONJERNOZ at the Germans. Cape Town and Johannesburg residents who entered will get to see that David Ayer’s directed flick in all its glory a week from now. But we’ve gotten some more tickets to give away, and because we don’t feel like treading on any feelings, we’re sharing the love this side. So if you want to win a double ticket to go watch the movie that includes free snacks and drinks at the Hyde Park cinema, here’s what you have to do. Simply leave a comment below, and we’ll toss you into the randomiser, as well as several dashes of your hopes and dreams. We’ll draw winners later this week, so keep January 27 open in your journal. The film itself is out on January 30th, so you’ll also be seeing it way before the rest of those other plebs. Which is motivation enough, I reckon. The only requirement here, is that you need to be in Jozi for the actual night of the film. And not afraid of ze Chermans. Popcorn! Soda! Tanks! What are you waiting for? Enter now! A massive thanks to SONY Entertainment and Times Media Films for making all of this possible. Next article Could the X-FILES be returning?